Inspired by Louis Simpson's wondrous and dreamlike poem, The Troika, this remarkable, new piano sonata by composer Damon Ferrante (2014 Simkins Award Winner) is a thrilling addition to the repertory! 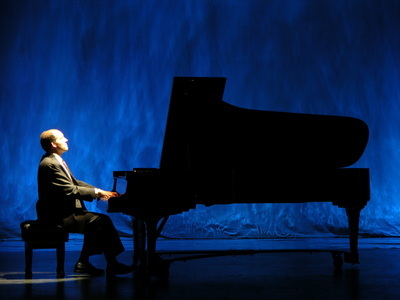 *This fiery and lyrical piano sonata blends the Classical and Romantic styles of Beethoven, Liszt, Chopin, and Schumann with modern, highly colorful melodies, polyphony, and rhythms--from gestures evocative of falling snow to a wild, midnight ride through a winter landscape. 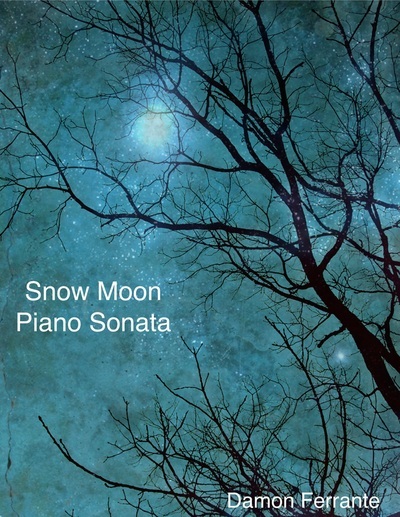 Performed throughout the United States and Europe, Snow Moon: Piano Sonata, serves as an excellent companion piece on concert programs featuring standard-repertoire works.